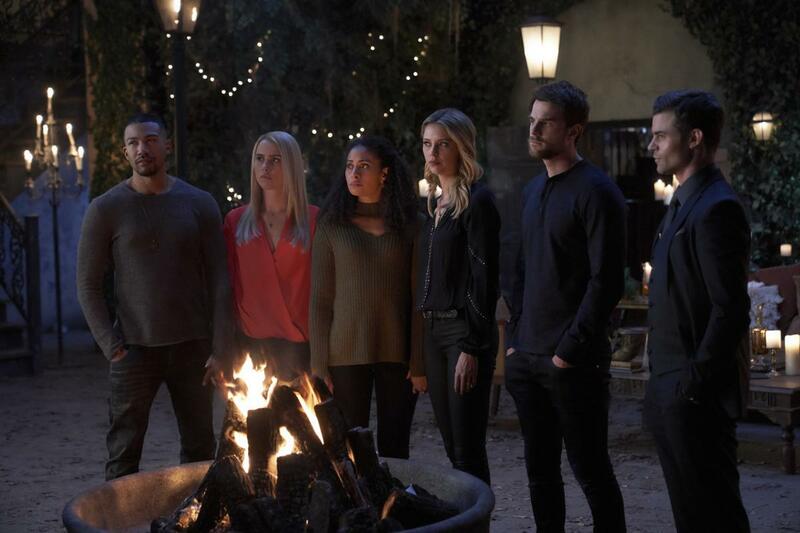 What’s Next For ‘The Originals’ Cast? Riley Voelkel (Freya) isn’t leaving The CW. She scored a new role on “Roswell, New Mexico,” which is being helmed by “The Originals” writer Carina Adly MacKenzie. Voelkel will play a cop who doesn’t realize she is working with an alien (played by another “Originals” alum, Nathan Parsons). She also recently wrapped the dramatic film “Brampton’s Own,” co-starring Rose McIver, Scott Porter and Spencer Grammer. Charles Michael Davis (Marcel) has been pulling double-duty all summer. He also appears on TV Land’s “Younger” as an extremely confident book editor. He’ll also play a supporting role in the TV movie “No Sleep ‘Til Christmas,” which will air this holiday season on Freeform. Nathaniel Buzolic (Kol) will next star in the film “Saving Zoë,” a drama co-starring sisters Vanessa and Laura Marano. Yusuf Gatewood (Vincent) is sticking to genre television. He’ll appear in the highly-anticipated “Good Omens” TV adaptation as Famine, one of the Horsemen of the Apocalypse. The Amazon show is based on Neil Gaiman and Terry Pratchett’s novel. He’ll also star in “The In Between,” NBC’s midseason drama about a clairvoyant (Harriet Dyer) helping an LAPD detective (Gatewood). Christina Moses (Keelin), like Davis, has been on a second TV show this summer. She will continue to appear in the first season of “Condor” on AT&T’s Audience Network. She’ll also appear in ABC’s new family drama “A Million Little Things” this fall. Danielle Rose Russell (Hope) isn’t leaving her character behind. She’ll play Hope on “Legacies” this fall, which will follow Hope at the Salvatore Boarding School in Mystic Falls two years after the events of Wednesday’s series finale. The new spinoff premieres Oct. 25 on The CW. Entertainment - U.S. Daily News: What’s Next For ‘The Originals’ Cast?